learn how to make herbal teas and tinctures that make use of the healing powers of herbs. Together we'll come to fully appreciate these wonderful plants, and feel inspired to create our own attractive and useful herb gardens. Would you like to have the freedom and ability to grow fresh, flavourful herbs and have them at your fingertips when you need them? Besides offering tasteful ‘oomph’ to your kitchen menu items, herbs can also be used to provide aromatherapy benefits, add ornamental value to your landscape, become craft materials and gift you with basic healing remedies that you can safely make for yourself at home. Growing a thriving herb garden is easy and can be as simple or as elaborate as your vision can make it. Whether you wish to have just a few herbs growing near your kitchen sink, or an enclosed herb garden next to your potager, the trick to being an herbal green thumb is to know the herbs you wish to grow. All plants, including herbs, need certain cultural requirements in order to reach their optimum growth potential. If you provide them with these requirements, then they will reward you accordingly. There is no doubt that you will gain a lot of satisfaction from growing your own herbs; it’s such an autonomous thing to do! Trying to get to sleep? Herbal sleep aids can give you a gentle nudge towards rest. 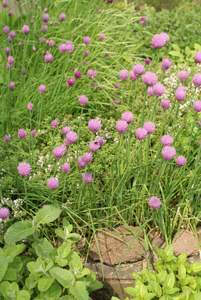 You can make a simple herbal sleep remedy at home using ingredients grown in your garden. These basic herb garden tips give you a general guide to growing herbs. You can grow herbs anywhere a plant can grow. In rows in a garden bed, in raised beds, in containers, or in a no-till garden that you can make yourself. The only limit is your imagination! In this article, we will show you how to grow your herbs indoors. Within easy reach to meet your needs, herbs in your home will become helpful friends and soul-pleasing companions. The Healing Power of Herbs series provides factual and reliable information about how to make herbal medicines. Part 2: What is a simple or herbal remedy? Part 3: Are herbs safe? Part 4: How do herbs work and heal? Learn to do it yourself with this online herbal remedies advice. Make simple home herbal remedies such as teas, infusions, decoctions, tinctures and poultices from common garden herbs. Learn how to make a tincture with these straight forward instructions. Making herbal tinctures is a process that extracts and preserves the medicinal properties of herbs.